What exactly is a Mobile Device? It is nothing but a portable device with an on-board computer developed with a view to enable access to users while on the move. Smart phones and Tablets are a few examples that can surf the web, allow email communications and also act as mobile phones for calls and texting. The invention of such Mobile Devices has created a very high demand for Mobile Web Applications that can offer smooth user experience. The mobile version of your regular website has got to be fully compatible to the Mobile device. Every day, a lot of people are using their smart phones and tablets to access the web services. Your website must be designed in such a way as to facilitate access on these devices. Regular sites consist of many text, images and links. When viewed through a Mobile Device, these could cause frustration due to long loading times, lots of scrolling and having to enlarge and reduce to navigate pages. This may cause the users to leave the site and select another easy-to-load site. More so, when they pay for internet service based on data usage. People want the process to be quick and to the point. Qnex plays the important role of bridging the gap between Mobile Devices and your website, enabling easy access and smoother browsing experience to users. The prime advantage is to allow mobile device users to access your website and services in a smooth manner and enhance their experience. 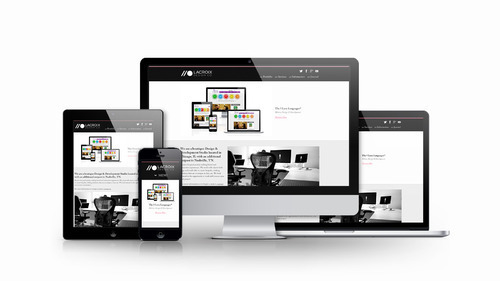 In having a mobile website, your company appears as innovative and forward thinking. This in turn gives a positive outlook about your work which will boost your business. Mobile websites allow businesses to modify the content at one place and display neatly on target devices, when linked to Content Management System. This reduces work load. Lets one make the best use of smart phones, while at the same time being beneficial to your business.